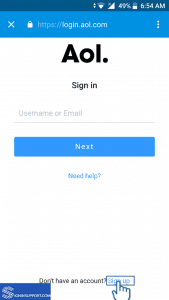 Need to create an email address? Then why don’t you register AOL Mail? 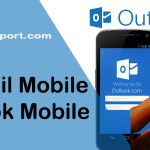 After an AOL Mail sign up, you can access services like AOL Mail, AIM, etc. AIM has been discontinued from December 2017. Unlimited email storage and 25MB of attachment limit per email. Includes AOL calendar, AOL Emojis. Advance spam filters and virus protection. In addition to email, get the latest headlines, trending videos and many other productivity tools from the AOL homepage. How to add or create additional AOL username? Create a new AOL account instantly with the following steps. If you are having any problem while creating AOL Mail, then you can also check where you’ve made a mistake. 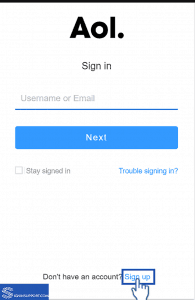 Create a new account via the mobile app or web browser. 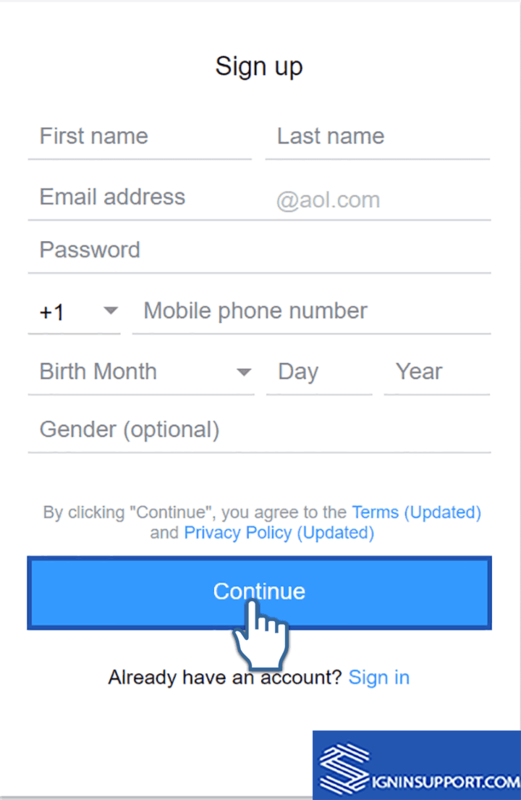 First, visit AOL account creation page from the web browser (Firefox, Chrome, Microsoft Edge). 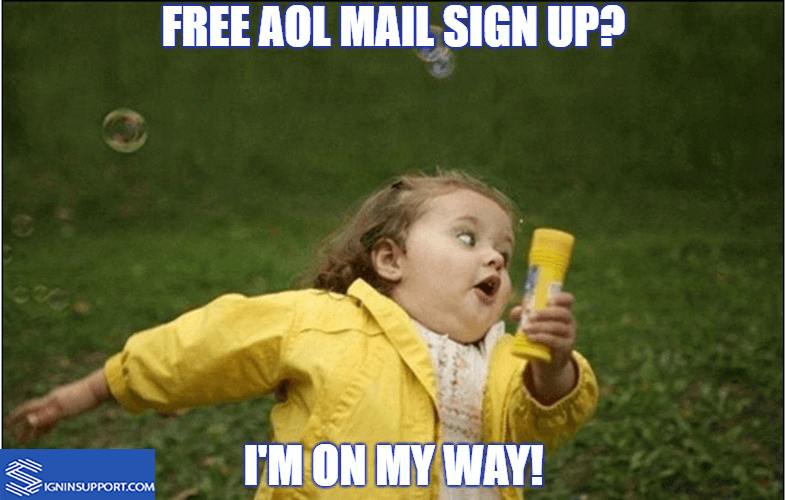 Alternatively, visit AOL homepage (aol.com) > Click on Mail > Sign Up. 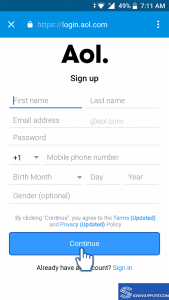 For mobile app user, open AOL Mail app > Tap mail icon > Sign up for a Free Account. You’ll reach the sign-up page. Click Sign Up at the bottom of the page. Enter your first and last name in respective boxes. The name you’ve entered will be shown to the people you communicate with. You can change the name later. Pick an AOL username. It must be at least three characters long. If the username you desire is already taken, you’ll be asked to take another id. A secure password consists of capital and small letters, numbers and special characters. Don’t use a password which is easy for others to guess. Re-enter the password to confirm it. Enter your mobile number with country code. Some people use fake or random DOB, but we suggest you use the real date of birth. You’ll receive a security code on your phone. 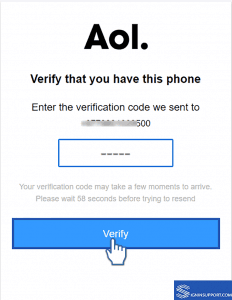 Enter the verification code and click finish to complete AOL mail sign up process. Click ‘Let’s get started’ and you are ready to use the new AOL Mail account. 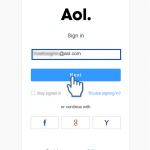 Finally, AOL mail sign up process is complete. 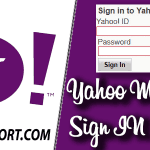 Log into AOL Mail account to use newly created account instantly. Comment below if you have any issues while accessing your AOL account. 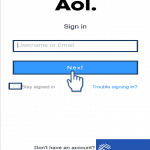 Open AOL app from the mobile menu. Don’t have AOL Mail app? Download it for free. iPhone users get it from the App Store and Android users download it from Play Store. Fill all the required information and continue. A new email address for AOL. 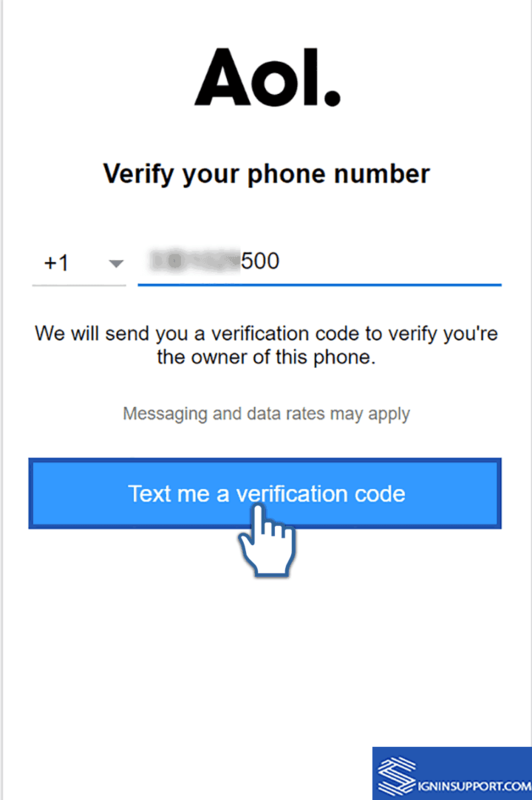 Tap ‘Text me a verification code’. Verify with code, and your AOL mail sign up process is complete. Do you know you can have more than one screen name for AOL? You can create an additional six AOL username beside your master screen name. In Add a Screen Name field, enter the username you wish to create and click Add. 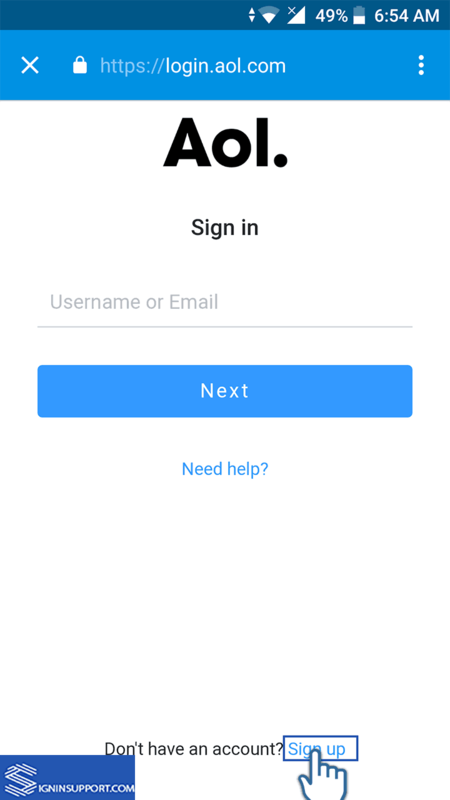 You can use letters, numbers, and space in username but can’t use symbols. However, starting from 30th Nov 2017, option to add and restore deleted usernames is no longer available. 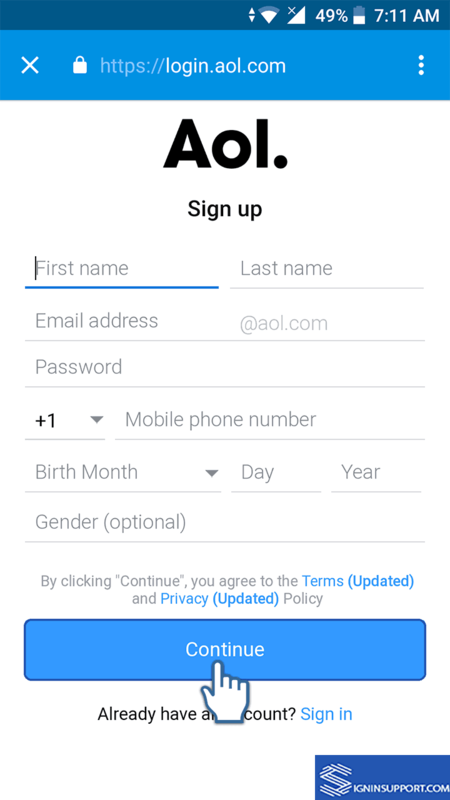 To create a new username, you have to follow the AOL sign up the process. And newly formed screen names are treated as separate accounts and won’t be linked to your current AOL account.